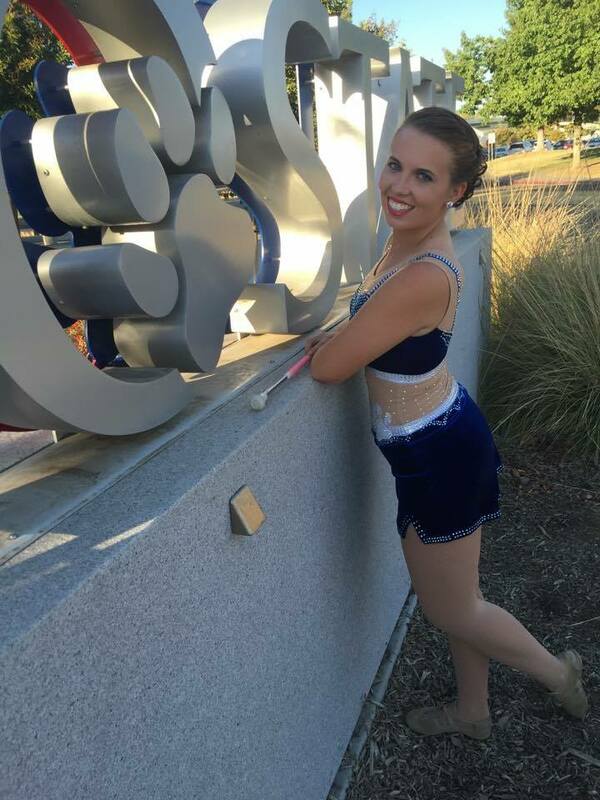 EM: I have had a fascination with college twirlers since I was about eight years old and met the 23rd Purdue Golden Girl, Robyn Andrews, who is an alumna of my baton club in San Jose CA. My baton coaches, Paige and Sharon Campbell, were extremely supportive of my dream and continually pushed me to become a better performer. Sharon helped found the NCABT which hosts the National High School and Collegiate Championships. Since I had the opportunity to twirl for my high school, I attended the High School Championships for all four years. Being exposed to the amazing college twirlers at the competition really solidified my desire to twirl at a D1 university! EM: I have been twirling since I was 6 years old. I twirled at United States Twirling Association competitions, representing Valley Baton Club, individually and on a team. I have also had the opportunity to represent the United States at 3 International Cup Competitions in Australia, Florida, and Canada, bringing home a total of four medals. Additionally, I am the current NCABT National Collegiate Champion. This past year was my last season competing but I just received my Level 3 judges certificate so I look forward to that chapter of my involvement in twirling! EM: I make sure I go to sleep early the night before since I have to wake up early to get ready that morning. We have practice the morning of a game where I run through all my routines and verify my drill spots. Then I do my hair and makeup and stretch out prior to parading over to the stadium. 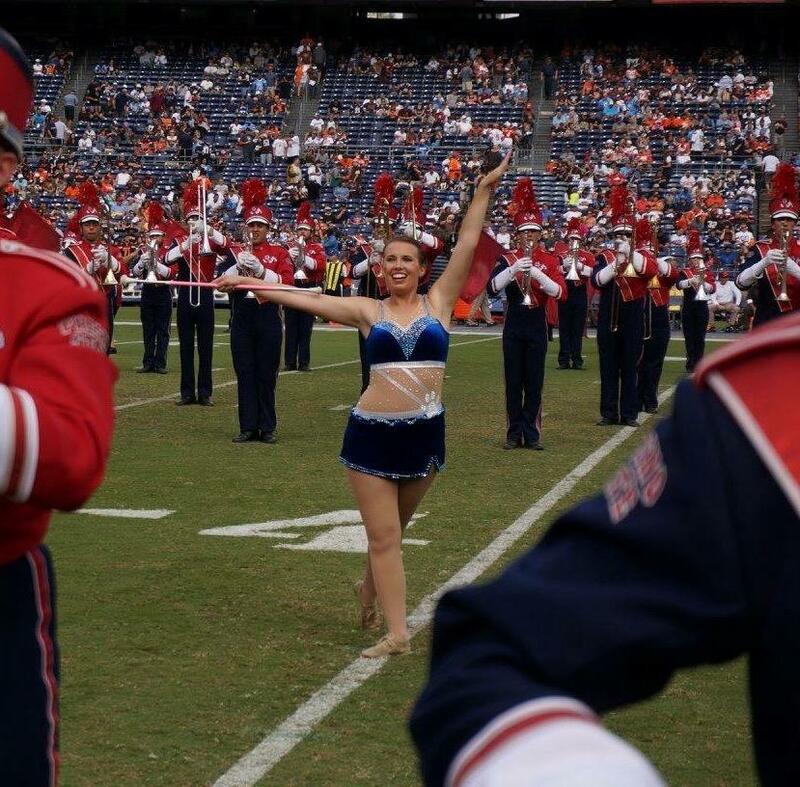 The main goal of the game days is to stay relaxed and calm before the game so I can conserve all my energy for tailgating and twirling on the field. 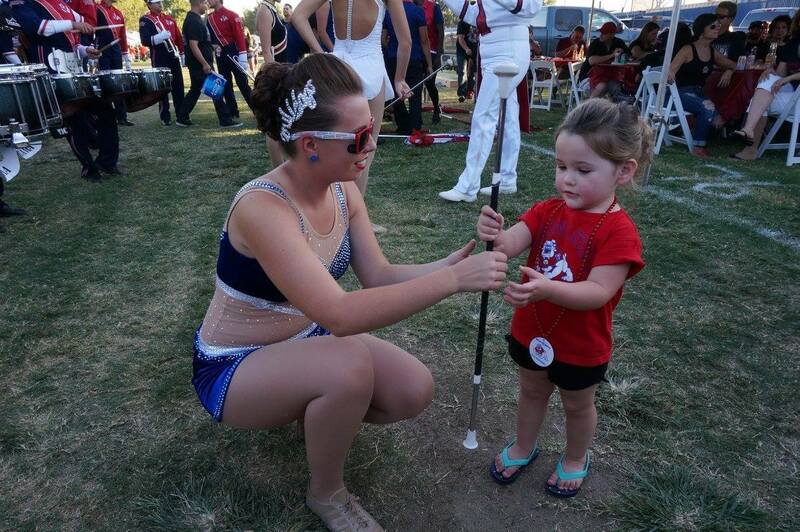 CMB: What is your advice for younger twirlers who want to twirl in college? EM: Don't give up on your dreams! Look at the schools that you want to twirl at and see what tricks and combos they require you to do so you can start practicing early. Once you get that position, keep practicing! Try experimenting with new tricks and always challenge yourself because that's what keeps twirling fun. CMB: What is your favorite trick/move to do on the field? EM: I love doing rolls on the field when I'm close to the audience since everyone loves back necks rolls. If I'm further from the audience, I'll do my three baton routine since it's visible from almost any drill spot. EM: This season, a young girl came up to me and asked me to sign an autograph and take a picture with her. Knowing that I am a role model even when I didn't know someone was watching was a humbling experience. CMB: Anything else you want to add? 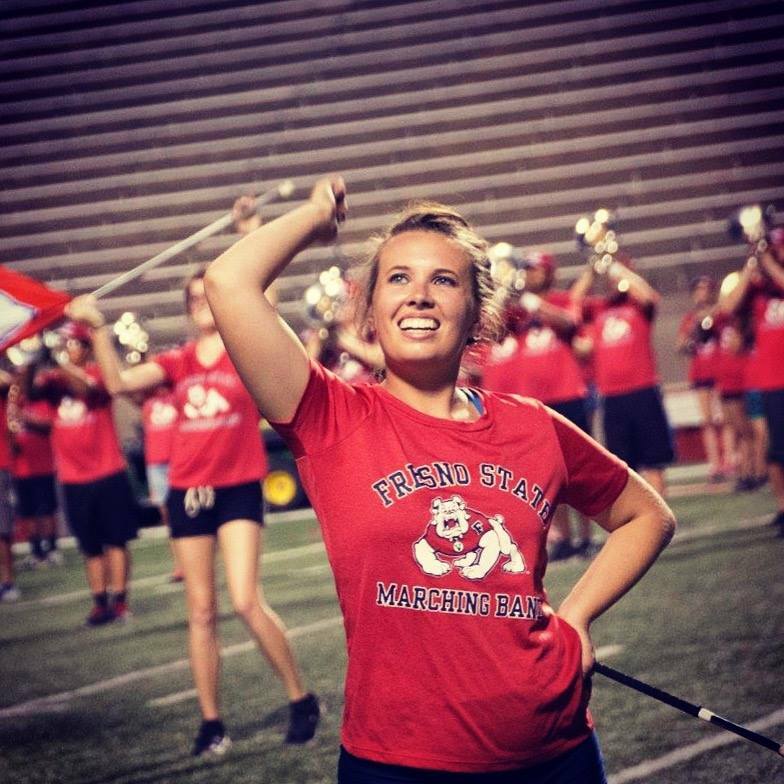 EM: As a feature twirler, I am part of the smallest section which sometimes makes it harder to meet people so I want to thank the Bulldog Marching Band for always including the twirlers in everything they do!